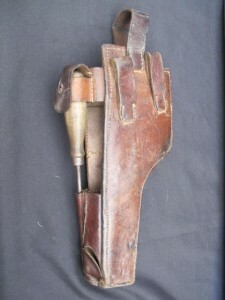 Scarce 1916 dated broom handled Mauser open flap leather holster. Brown leather construction. Complete with belt loops. 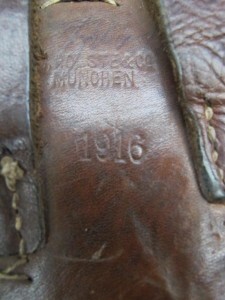 Nice clear 1916 date and Munich makers markings to reverse. Comes with issue screw driver. Overall in good condition for age. 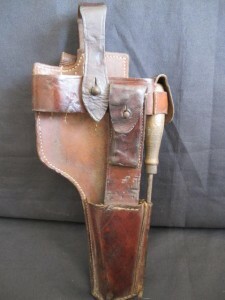 A scarce and seldom found holster.